Information to help you navigate library information and services. 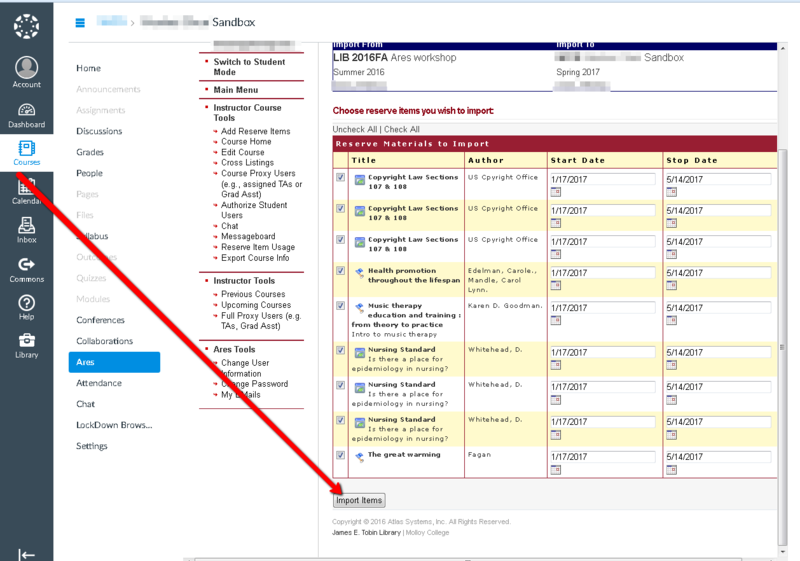 Ares (Automating Reserves) is a one-stop online resource for all course reserve materials. 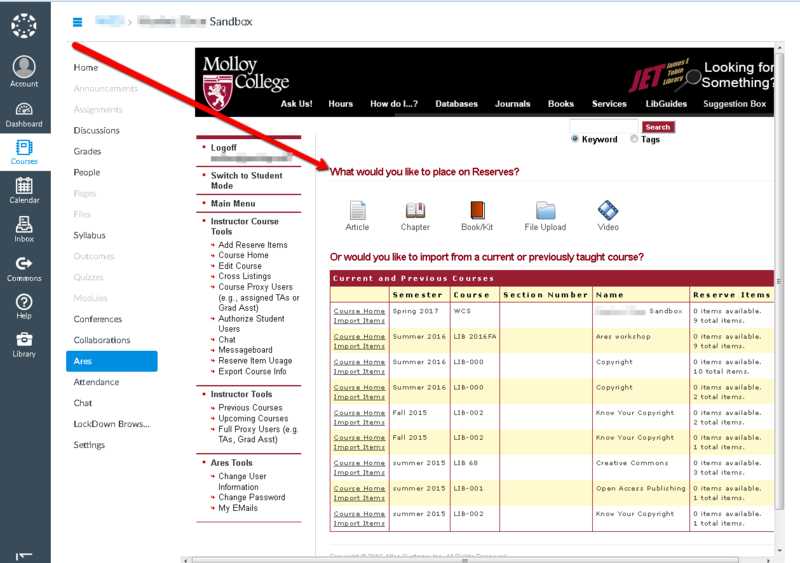 Molloy College Library maintains a collection of Reserves/E-Reserves for specific courses as requested by our faculty through the Canvas system. The purpose of a reserve collection is to support instruction by offering timely and efficient access to high demand course materials. 2. Select the icon that describes the type of material you want to place on reserve. Select the icon that describes the type of material you want to place on reserve. Complete all required fields and any additional information may be useful. Choose how you wish the item to be supplied. If you are planning to reuse reserve items from a previous semester, just click “Import Items” from a previously taught course. You can uncheck any items you do not want to reuse and click the “Import Items” button when done.